This workshop will give you an in-depth collection of strategies, recommendations, tips and lessons learned for moving your company’s IT into Microsoft Azure. In addition, mitigating concerns related to security, cost-control, privacy, and data residency are also a major focus of this course. The move to the cloud is the start of a journey — one that will enable the transformation of every aspect of an organization, from IT to product development. Companies can use Microsoft Azure to easily integrate with their existing IT environment, giving them the Cloud benefits. With Microsoft Azure, you don’t have to worry about the management of your IT environment. This can be managed in one central location so you can access your data, as and when you need it. Sounds simple, but getting started with the Cloud the right way isn’t as straight forward as one might think: maintaining an IT infrastructure can be quite complex, especially when dealing with differentiated IT landscapes with numerous applications. There’s must be no room for error. This workshop is full of real-life examples and practical approaches you’ll need to know about in order to plan and implement a successful migration seamlessly governance of your IT into the Microsoft Cloud. After the workshop, you’ll get access to all the slides and resources presented. During and after the workshop you’ll be able to ask questions and our two experts with over 9 years of experience in Microsoft Azure. Mihai Tătăran is the General Manager of Avaelgo, Microsoft Azure MVP and Microsoft Regional Director. He is also Microsoft Azure Insider and Microsoft Certified Professional. His primary roles at Avaelgo are to extend the business, focusing on Managed Services on top of the Microsoft Cloud, and act as a pre-sales and consulting resource on key cloud projects. Mihai has been teaching Microsoft technologies courses to software companies in Romania and abroad, being invited by Microsoft Romania to deliver many such trainings for their customers. 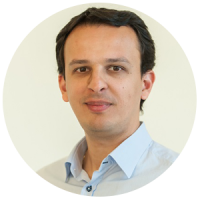 Florin Loghiade, Microsoft Azure MVP and Microsoft Certified Professional, works as an IT consultant focused on Microsoft solutions based on Windows Server, System Center, Hyper-V, Microsoft Azure, and Automation. Florin’s current main focus is on implementing and managing on-premise and cloud solutions based on Microsoft Windows Server, System Center and Microsoft Azure, eliminating all the tedious management tasks using PowerShell and PowerShell DSC.